Good Night’s Sleep with CBD – Wake up Feeling Good! Since there is way more information than I thought, I’m going to break this into two parts. In this article we are going to be talking about recreational and medical marijuana (cannabis) in Mexico. First we will talk about recreational – is it legal? If so, what does this mean? Then we will follow with the medical and try and determine if the rules are as clearly defined and enforced as they are in Canada, its neighbor to the far north. In Part 2, we will talk about Canada and the new legislation legalizing recreational marijuana including such topics as possession limits, protecting our youth, health safety, responsibilities, education, criminal activities and penalties, and existing medical marijuana laws, and the impact these changes have on medical marijuana. There are three reasons why I am interested in knowing about medical and recreational marijuana in Mexico: (1) I already have a Medical Marijuana License (albeit from another country – Canada to be specific), (2) I happen to be in Mexico for six months and missing my stuff! and (3) Canada has now legalized recreational marijuana so I am interested in knowing what is happening here, in Mexico. In our innocent quest to find out if we could obtain medical marijuana here, we might have ruffled a feather – or two. We have already been in Mexico a month and a half and no one is saying anything – about marijuana or CBD, Of course, maybe we just haven’t met the right people yet! We saw a store advertising what “looked” like marijuana products so decided to shoot them a facebook message telling them we were visiting from Canada, and asked if indeed they did sell marijuana (specifically for medical purposes). “We remind you that until now there are NO LEGAL DISPENSERS IN MEXICO, the sale, purchase and acquisition of cannabis is a FEDERAL CRIME and we do not support any type of illegal act and we will always be attached to the law. We ask you to please avoid sending us these types of messages, thank you. So now I was on a mission and decided to contact the Mexican Government. I did my Google search and found the website and looked up who was involved with Health matters. So off another email went. This time it was kindly suggested that we contact the Mexican Embassy in Canada and I was provided with a phone number and address in Ottawa Canada. You guessed it – my next email. Still waiting! In the meantime, let’s move forward. I decided to do more searching. On August 21, 2009, Mexico decriminalized the possession of small amounts of personal cannabis and other drugs such as cocaine and heroin in order to lower illegal drug activity. Maximum amounts were set up to 5 grams which would be considered ‘personal use;” anyone caught with up to that amount would be encouraged to seek treatment instead of doing jail time. On November 15, 2015 the Supreme Court made a ruling in favour of four individuals from the Mexican Society for Responsible and Tolerant Personal Use (Smart) who were allowed to grow and smoke their own marijuana. Although no laws were changed, this ruling could pave the way regarding future legal actions. The Supreme Court made this decision saying that prohibiting people from growing marijuana for personal use was unconstitutional. In 2017 marijuana because legal for medical use but more on that later. Based on two court rulings, Mexico’s Supreme Court on Wednesday, October 31 of this year, legalized marijuana for non-commercial adult use citing that an absolute ban on recreational use of marijuana was unconstitutional and has given the green light for growing marijuana. The ruling stated that this right isn’t absolute and it is possible to regulate consumption, however, one shouldn’t be prohibited from consuming marijuana due to the results as there is not enough justification to do so. In addition to these two court rulings there were three similar ones between 2015 and 2017 making this the fifth time that Mexico’s Supreme Court has ruled in favour of recreational marijuana. This sets a precedent other Mexican courts will have to follow. So, is recreational Marijuana legal in Mexico? Technically, not quite. The Supreme Court mandates the courts must allow recreational use (not for sale or commercial), possession and growing but no laws had been changed by the legislature. However, it is felt that any cases brought before the court should be favourable for the defendant. Unfortunately, individuals can still be arrested, charged and fined. The next step in the legalization process for personal purposes is for the Supreme Court to inform Congress within 90 days that prohibiting such use is unconstitutional. Then Congress, in turn, would reform the laws the Supreme Court finds unconstitutional. If Congress does not act within that time frame, adults prosecuted can apply for protection from the judicial system. Most feel this is a stepping stone to recreational marijuana being legalized in Mexico. Canada and Uruguay have already done it; if Mexico decides to follow suit, it would be the third. In 2015, an eight year old girl, Graciela Elizaide, was suffering from a severe form of epilepsy, Lennox-Gastaut syndrome. After a Supreme Court Ruling allowing CBD cannabis to be imported, she became the first Mexican medical marijuana patient. CBD not only reduced her seizures significantly but her quality of life became better. 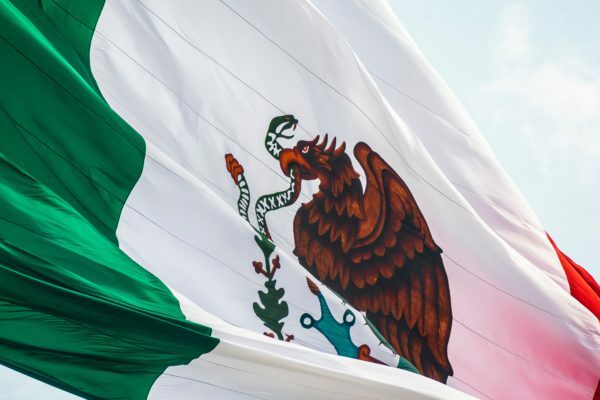 In 2017 President Enrique Pena Nieto signed a decree legalizing medical marijuana; the Mexico City constitution went into effect in September of 2016. Although pharmacological derivatives of cannabis such as oils and pills is legal in Mexico, THC content is limited to 1% (anything above this level would require special government approval). In Mexico’s medical cannabis program, it is not a requirement for patients to use medical cannabis cards. Instead of patients paying an application fee and import cost for medical cannabis, Mexico accepts submissions from companies interested in importing the medicine, which pharmacies can then sell – thus only a GP prescription is needed. The government stands firm that it is still illegal to cultivate marijuana. According to the Federal Commission for the Protection Against Health Risks (COFEPRIS), medical marijuana must come from a pharmacy that has been authorized by COFEPRIS. RHSO-X is a cannabis-based oil made by Hemp Meds Mexico (which is owned by Medical Marijuana Inc.) and was the first product of this kind to be legalized for importation to Mexico. Currently, this is the only company that has imported these products for medical use in Mexico. COFEPRIS predicts that medical cannabis stores are unlikely to open until sometime in 2019 and that regulations are expected to bar selling smokable cannabis in the stores. It is generally felt that with the latest ruling by the Supreme Court on October 31, 2018 and the previous three court rulings in 2015, the way is being paved to legalize recreational marijuana. As for medical marijuana, according to the The Latam Cannabis Report, to date Mexico has granted only 308 permits for hemp-based CBD products to be imported for patients from Europe, Canada, and Israel. Personally, I too think it will only be a matter of time before it (recreational) is legalized in Mexico, especially with recent legalization in Canada. 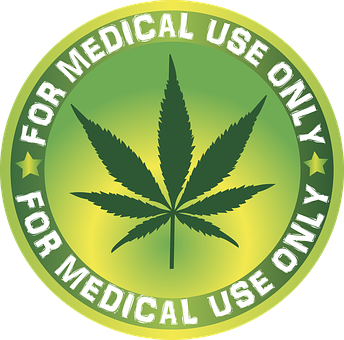 As for medical, whether the limitation of 1% of THC is increased, that remains to be seen. “Marijuana is not permitted in any of its forms in Mexico.” Short and sweet! Disclaimer: This article does not constitute a legal or medical endorsement. It is up to you to make sure using recreational or medical marijuana is legal in your area of residence. Is CBD Legal in the States – Are We Clear Yet? Very interesting, thanks. I understand, the public and even the Mexican Embassy do not really know the rules of their country. I guess they are just afraid to be made responsable if something goes wrong. I live in Thailand and wish things would have come as far as in Mexico here though. I think if I wrote an email to a Thai official office like the questions you did, it would already count as a offence against the law lol. Keep checking things out, I was smoking Ganja in Mexico about 25 years ago no problem but these things are changing quite fast. A most interesting post, Mary Ann. I’ve been watching with interest as this most confusing and convoluted evolution of the laws surrounding marijuana — medical and recreational — in the US, Canada and Mexico unfolds. As a residential property manager in the state of Hawaii, I am caught in the crossfire between the state law (medical use legal) and the federal law (any use not legal, period). It can get to be a headache since state law now tells me I may not refuse to allow tenants to use (but not grow) their medical marijuana on the property even though even medical use of it is still illegal according to the Federal government rules and therefore (in a worst-case scenario) the property can be subject to seizure by the Feds. It is all a confusion to me, I’m afraid. When the various laws among the different levels of government disagree, what it means is that somehow or other you (the ordinary citizen) will end up as a criminal in somebody’s eyes. (Sigh!) . This is very GRRR-making! You are absolutely correct – a lot of people find the laws confusing, especially when marijuana (regardless if medical or recreational) is approved on one level of government but not another and creates a lot of grey matter. I don’t envy you as I can see how this would especially affect your job as a residential property manager in the state of Hawaii. Darned if you do and darned if you don’t! I have been watching here in Canada to see how the legalization is going. Time will tell. I found your article very informative. I think the one thing that stuck out to me was that Mexican citizens are allowed to grow and use their own marijuana but they can’t sell or distribute it. You also mentioned how the bordering countries’ (of the US) decisions on legalizing marijuana (medicinal and/or recreational) would affect their policies, would you do an article on your thoughts on how this would come about. I haven’t been following policies but I’ve always been on pro-cannabis side (I’m a US citizen). At this point in time, no you definitely cannot sell or distribute marijuana here in Mexico. But I think that they are one step closer to legalizing it for recreational use. I’m not sure I understand your question about the US but I have a few articles on my website with regards to the US and will no doubt be publishing more as the laws continue to evolve. Canada has a close relationship with Mexico and as you may or may not know, on October 17th of this year, recreational marijuana was legalized. Thank you for stopping by and continue to check my site for any changes or new information. This is certainly a hot topic that stirs quite a bit of debate. I like keeping tabs on the marijuana laws as it may be a good investment opportunity down the road. My personal views of this drug are mixed because I know like you that it can dramatically help those with seizures. My old boss’s daughter suffered with grand mal seizures quite often. She would fall, break bones and end up in the hospital. Not much in the way of quality of life. She finally after years got a medical marijuana card and, true story – she no longer has any epilepsy seizures. Now for the downside, my estranged husband is bi-polar and got a medical marijuana card and in small doses it would actually help keep him calm and even tempered (along with his other meds), but he started using more and more than prescribed and ended up having hallucinations endangering those around him (hence why we are separated) and I had to call 911 and have him involuntarily committed for 72 hours. This went on for months and months, so just like alcohol moderation is the key if it’s going to be made for recreational use. I was actually surprised when I found your article that marijuana wasn’t already legal in Mexico, but looks like it soon will be. Just like alcohol DUI, it’s going to be tough on law enforcement to deal with THC DUI’s. Good luck in getting your medical marijuana while you’re there, but sounds like government bureaucracy may stand in your way. I certainly can understand your mixed feelings. Medical marijuana has been shown that it does effectively control two severe forms of epilepsy seizures and the FDA has actually approved a drug that contains a purified drug substance derived from marijuana. As for the investment aspect, it is certainly lining the coffers of many – between the dispensaries (legal and illegal) and the stock market, a lot of people stand to gain some money. Was your ex-husband taking other medication as well as the medical marijuana? It can sometimes interfere. And of course, abusing it and taking more than you are supposed to are all contributing factors. As for me, I don’t hold any hope that I will be getting anything here J. Even the users of marijuana know that it is a drug – a mind altering drug. Anything that alters the mind and perverts the thinking cannot be good for human use. But I fear that the times in which we live will see marijuana, like alcohol, become more available to the masses. Like alcohol – which was once illegal also – it’s free recreational use will prove the ruin of individuals, families and societies and contribute to the growing number of brain damaged persons in society. It is sad, that a few people, for their own selfish gains, are willing to add to the already overwhelming amount of legal and illegal drugs that is doing unimaginable harm to our society. Based on a few slightly favorable results, some are touting marijuana as having medicinal value. Wow. Thanks for stopping by and your sharing your opinion on marijuana. There are, of course, many people who would not agree with you but that is the beauty of living where you are entitled to your opinion. Marijuana, like alcohol can definitely be abused. There is no question about that. But when you hear of stories of how small children suffering from debilitating seizures from Epilepsy are having better lives, then you have to wonder. The FDA has approved Epidiolex (CBD) that contains a purified drug substance taken from marijuana. The more I read about the CBD oil, the more I’m convinced it’s a wonder drug. I really don’t understand the hang-up about it, it doesn’t get you high, but it’s super good for you, and look at that little girl in Mexico, it drastically reduced her seizures. How can something that does that be bad? I’m going to look into it. I’ve seen so much about it, and the benefits are pretty amazing for a lot of conditions. You are not alone Babsie – many people indeed would agree that it is a wonder drug. However, I think the controversy surrounding it (marijuana) will be around for a long time. My medical marijuana license allows me to choose products with THC or none. I choose to take CBD with little to no THC as my system doesn’t tolerate the THC too well (I feel the effects on even a tiny bit) but the CBD I use has none of that so it is a Win/Win. I don’t get high and I can sleep at night. I would even check with your doctor as many doctors now are on board and of course it depends where you live! CBD Oil Hybrid – What is it?